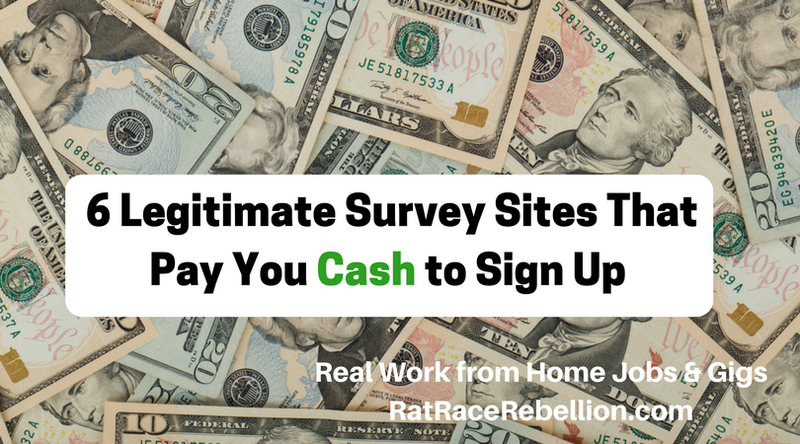 Survey sites won’t make you rich or stand in for a job, but you can use them to generate some extra cash to help pay for bills or frills. Vindale Research – $2 signup bonus – Update Aug. 31, 2017 – We’ve removed Vindale based on reports of payment issues. For an alternative, Ibotta pays a $10 welcome bonus. It also pays quick cash rebates for purchases at Walmart and 300 other retail outlets. If you’d like another legitimate extra cash option, try PineCone Research. They pay $3 per survey (15-20 minutes per survey, typically), and have one of the best reputations among survey sites. They may also send you free products to test. For more extra-cash options, check our Newest Jobs & Gigs page. Happy bonuses! This entry was posted in Earn Extra Cash, Surveys / Online Rewards, Work at Home Jobs. Bookmark the permalink.